MULTI-BUY DISCOUNTS AVAILABLE! FAST N FREE DELIVERY! 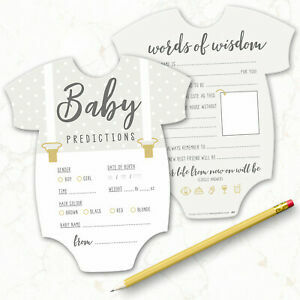 Confirmation of your design... We kindly ask all customers to carefully review their designs before giving confirmation for print as we can’t be held responsible for errors such as spelling mistakes. Should such an error occur we’d be happily reprint your order for a small charge. Unfortunately there are occasions when we’re to blame, if this is the case we’ll put our hands up and do everything we can to fix it at no cost to you. Colour Variations... Please note that colours can vary from screen to print, if differences do occur they’re generally very slight. Our computer is collaborated to that of our printer's therefore colour and brightness settings on your computer can make the proof look different to that which is printed. We will not be held responsible for any differences in colours nor will we refund/compensate you should a colour difference occur. Delivery and turnaround times... Our estimates are just that - estimates, these are not set in stone and can be subject to change at any time. In the unlikely event that your order is delayed we will not be able to refund or compensate you for the delay/ inconvenience – our best advice is to order ASAP with plenty of time to spare. If you’re in a hurry we may be able to fast track your order, please contact us and we’ll see if we can accommodate your timescales. Submitting a photo... If submitting a professional photo, you certify that you have obtained permission from the photographer to duplicate the image for the purposes of creating an invitation/thank you card etc. Liczba dostępnych przedmiotów: 2 109. Wpisz liczbę mniejszą lub równą 2 109.